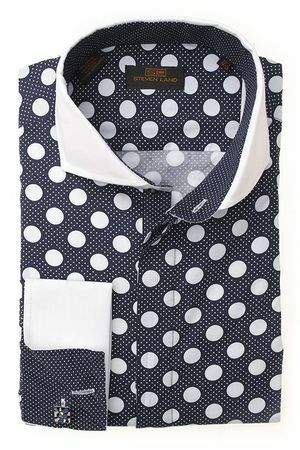 With a big bold polka dot design, this blue polka dot shirt has to made by Steven Land with it's head turning look. The contrasting white cuffs and collar just bring it in a big way just the Steven Land designed it to be. Made of all cotton.